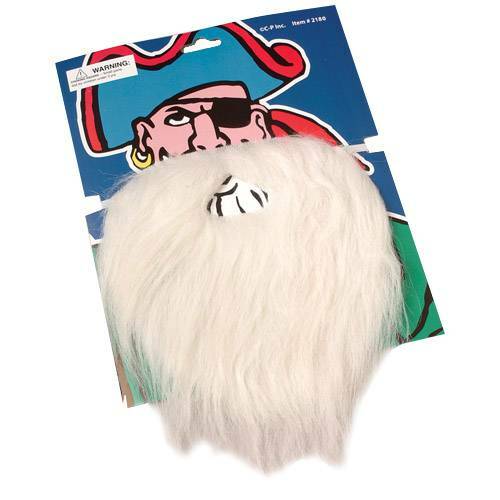 Dress up your pirate costume with this white pirate beard and moustache set. Elastic band for fastening. This white beard also makes a good Santa Claus Beard. U.S. Toy Exclusive! Stock up on all your Pirate party needs with US Toy. We have a wide selection of party favors and costume accessories. Find everything you need to please the pirates at your next Pirate party or event.